Market Analysis Strategy is a reversal trading system for Binary Options high/low based on support and resistance zone and reversal signals. Zone V 1 tF 5 min. Fx MTN with rD combo. 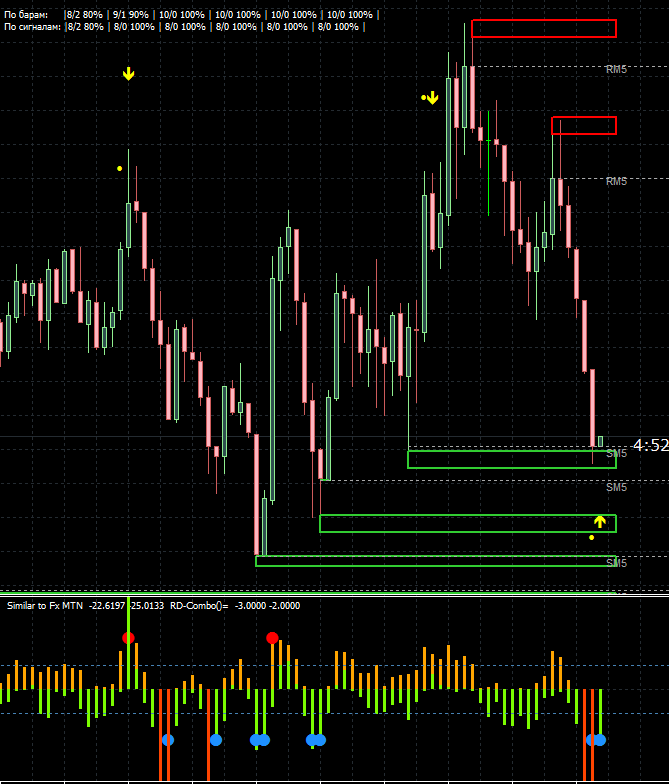 1) The signal candle closes directly on the zone of the indicator Zonev1. above support zone. 2) The arrow indicator Market Analytic Pro shows the point and buy arrow. 3) Indicators in the basement Similar Fx MTN & Alerts V4 and RD-Combo are signaled by a point and a column below zero line. 1) The signal candle closes directly on the zone of the indicator Zonev1. below the resistance zone. 2) The arrow indicator Market Analytic Pro shows the point and sell arrow. 3) Indicators in the basement Similar Fx MTN & Alerts V4 and RD-Combo are signaled by a point and a column above zero line. In the pictures Market Analysis Strategy in action.